The early morning caller was a manufacturers’ representative. He sounded panicky, and I quickly discovered that his panic was justified. “About 15 years ago I signed a rep agreement with 30-day cancellation terms. And for 15 years I kept growing that principal’s sales, and never gave it another thought. In our last issue we discussed a manufacturers’ representative’s options for that principal. We also promised to suggest ways to try to negotiate extended post-termination commission into contracts that have already been signed but have not yet been terminated. Yes, there are occasionally brief windows of opportunity when you can get improved terms written into existing representative agreements. But they generally occur only after a manufacturer has given you other bad news, and that window may be open only for a few days. If an attorney’s review of your agreement doesn’t reveal any ways to get that unwelcome change reversed, don’t give up. Instead, negotiate for something else to make up for what you’ve lost. Commission rate reduced? Negotiate for extended post-termination commissions, life-of-part/life-of-program commissions, additional sales territory, or to convert a current house account into a commissionable account. Lost part of your territory? Negotiate for extended post-termination commissions, life-of-part/life-of-program commissions, or to convert a current house account into a commissionable account. One of your accounts is now a house account? Negotiate for extended post-termination commissions, life-of-part/life-of-program commissions, or additional sales territory. Remember, if you have to give something, try to get something. A manufacturer who originally hired you for your negotiating skills shouldn’t expect anything less! 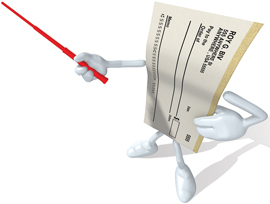 * Your legal recourse for a signed blank check may be better than your recourse for a badly written contract. This column is not legal advice; for definitive information, consult your attorney. I am used to putting ads in a local paper and seeing what comes of it. Yes, I just gave away my age. The problem today is trying to figure out which website or app will best apply to sales and what I particularly need. Job posting or posturing has become very hard in many ways. A job was posted here at my facility many years ago for an internal salesperson. The most shocking response was from the Ph.D. in engineering — clearly a stop gap from what we do here. A real-world guide to data sharing for reps and manufacturers. Call reports, sales reports — reports, reports, reports. I think we can all agree reports can be useful. Visibility, benchmarks, sales numbers — you name it. There’s a lot to be gained from effective and accurate reporting. There’s intelligence to be gained and strategies to be formed. But time in front of a spreadsheet is time away from the road. Manufacturers want numbers. Reps just want to sell. There are plenty of people in the workforce who do “something,” but not so many who do what needs to be done. And this is both a problem and an opportunity. Pat was not happy as she left the meeting with a long-term customer, or should I say, former customer. “Pat, we have done business together for a long time,” her customer started, “but we have decided to go in a different direction this time.” The customer went on to say how ABC Company, one of Pat’s biggest competitors, worked with them to integrate ABC’s solution into the customer’s systems, resulting in faster inventory turns with fewer shipping errors, and they were able to demonstrate how this will increase margins and profit for the customer. Customer service is all about listening. According to Bernard Ferrari, author of Power Listening: Mastering the Most Critical Business Skill of All, good listening is the key to developing fresh insights and ideas that fuel success. Organizations choose front-line employees for their social poise, their outgoing personalities and their ability to communicate well, meaning their ability to talk well. And they train them in what they can and can’t say and what they can do to help the customer. Finally, their performance is evaluated by how proactively they manage and resolve problems or calls. Continuing a discussion on how a sales rep might recover post-termination sales commissions under a terminable representation agreement, and having previously discussed Procuring Cause, I turn now to Bad Faith (BF). The Association of Independent Manufacturers’/Representatives, Inc.(AIM/R) honored Scott Edwards of Armacell as their recipient of the 2017 Golden Eagle Award. The presentation was made before a record crowd at AIM/R’s 45th Annual Conference in Seattle, Washington. The Golden Eagle Award is presented annually to an individual in the manufacturing sector that demonstrates the highest level of professionalism in their interaction with independent manufacturers’ representatives. The award was presented by Charlie Parham, VP of industry and PR for AIM/R.